The Night Mode is not a new feature for Android users. The Google-owned mobile operating system has been offering the Night Mode across almost all the manufacturers for some time now. There are also apps which have their own way of inverting colors to offer Night Mode in different ways. But all of this going to change very soon for the Samsung users. The latest version of its user interface system called Samsung One, which is based on Android Pie comes with a dedicated Night Mode which is easy on the eyes. It is more like the already existing Night Mode features with the major difference being only the additional ability provided to the users to rest their eyes by making the best of the AMOLED displays. Yeah. You guessed it right. We are talking about turning off the black pixels entirely off. You can enable the night mode in the display settings of your smartphone. To do the same, navigate to Settings > Display and choose Night Mode. You may also choose the same from the Notification Drawer. The same can also be done by Bixby on Samsung One UI. 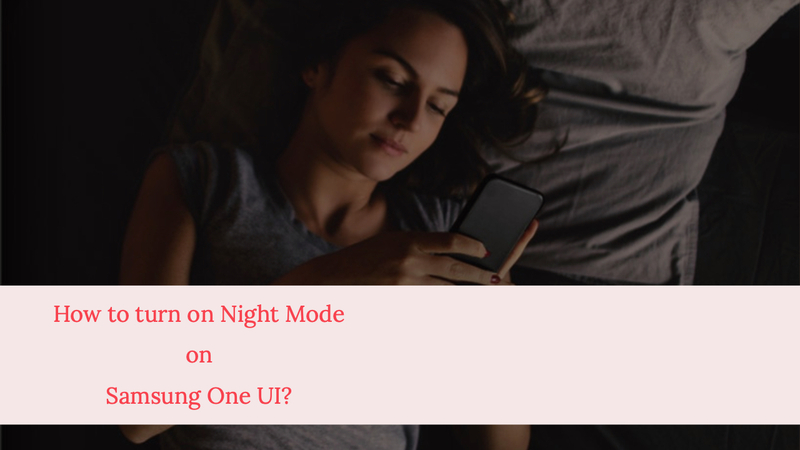 We hope this tutorial has helped you understand how to enable the Night Mode on Samsung One UI. Share us your views on the same by commenting in the comments section below.